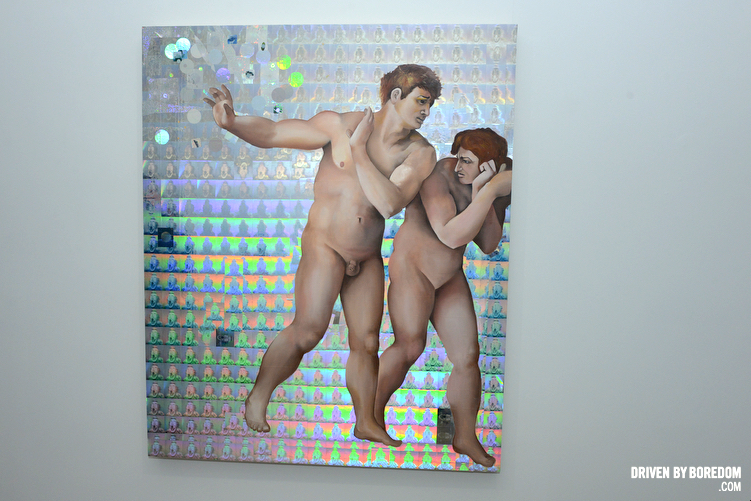 Last night I went down to the Lower East Side’s Castor Gallery to check out Jeanette Hayes‘ show ‘Paradise??’. 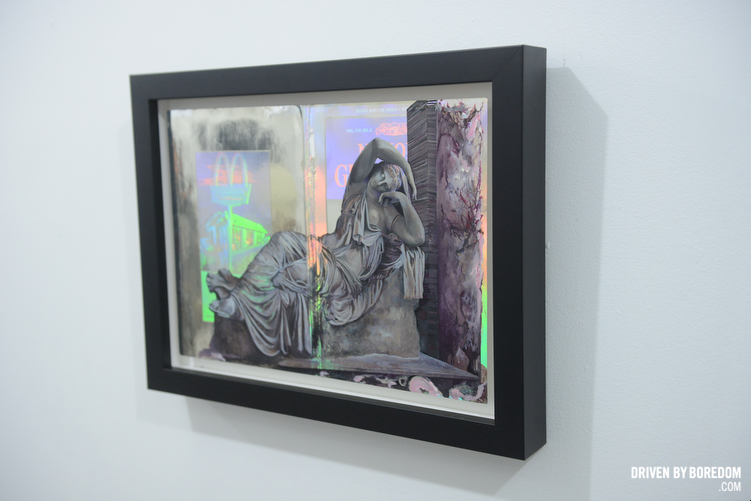 She combines classical painting with “futuristic” holograms (that were popular 20 years ago) to create a feeling that you might get if you were to walk into The Met 200 years in the future when .gifs and bedazzled MySpace pages stand next to Greek statues and Renaissance paintings. In Nothing But Flowers the Talking Heads once sang “If this is paradise, I’m gonna need a lawn mower.” Well if this is Paradise, I’m gonna need a new Tumblr. 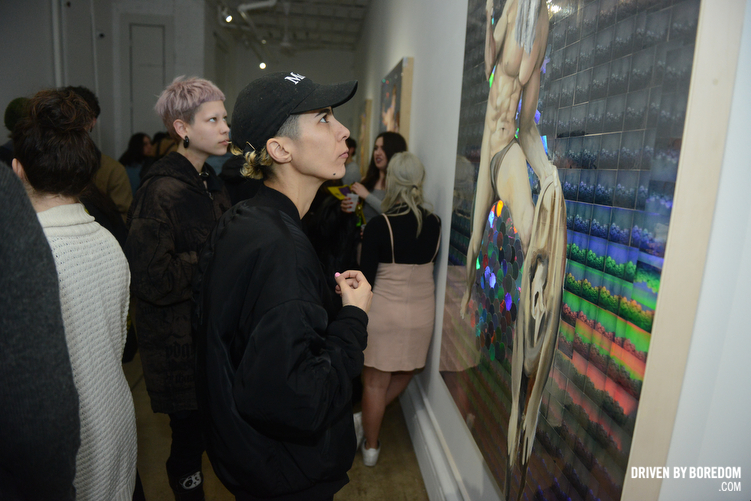 Aside from the wild art it was an awesome chance to see a lot of people I used to hang out with in night clubs when I first moved to NYC. Turns out all those people are still here, they just happen to be in their 30s and going to art shows instead of dance parties. Oh, and there were a lot of puppies for some reason. 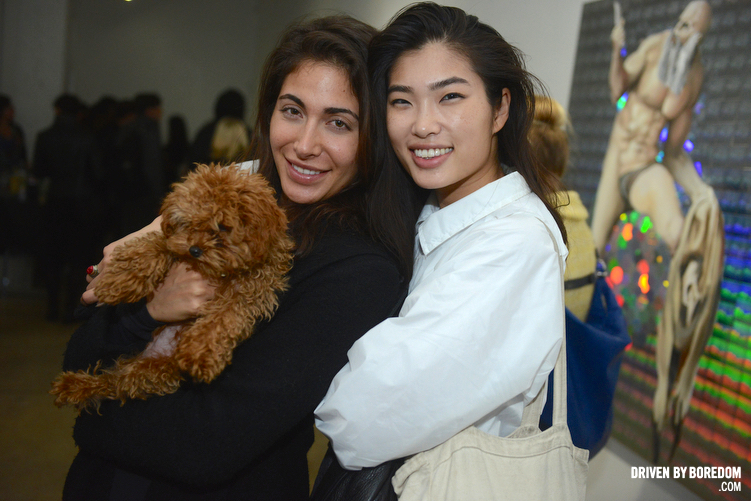 Puppies are very important in the New York art world. The show is going to be up all month so make sure you get a chance to check it out. And go down stairs where there is a video installation and drawings (Plus National Geographic holograms!). 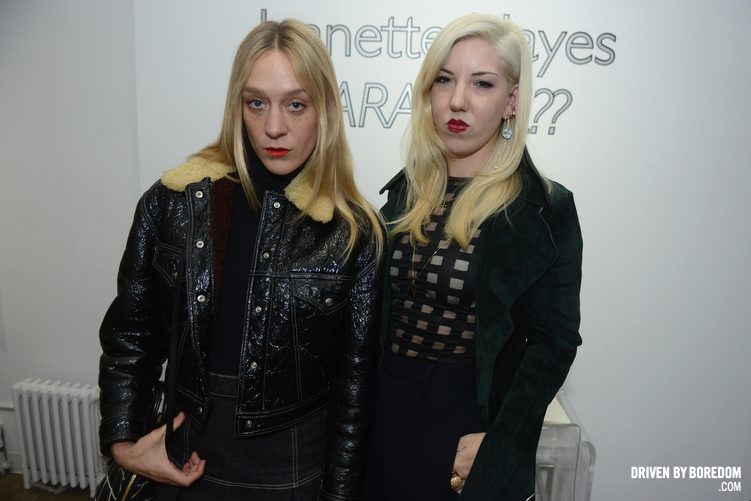 And thanks a bunch to Jeanette and Castor for having me out last night. I had a blast. 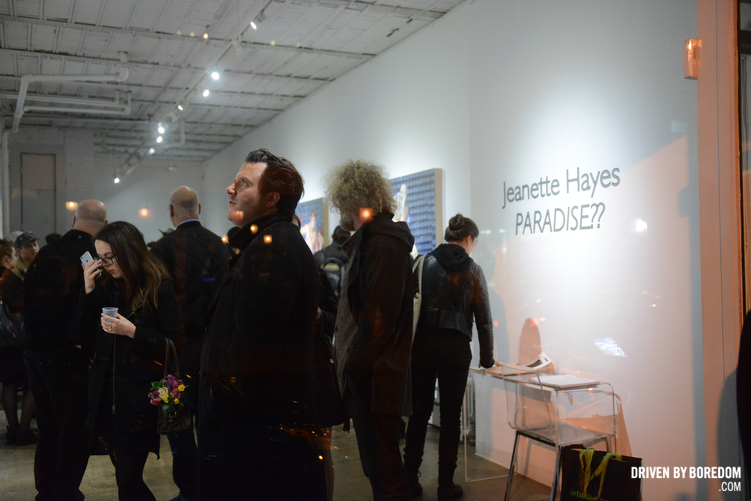 Click here to see photos from the opening of Jeanette Hayes’ ‘Paradise’ at Castor Gallery.